2 New Spectacular Lots Available! Glen Ridge Estates is comprised of only 28 detached estate homes, each featuring the outstanding elevations that OPUS Homes is known for. Each home has been designed paying special attention to the principles of Feng Shui, offering practical enhancements including large, welcoming foyers, functional kitchens, and luxurious privacy. 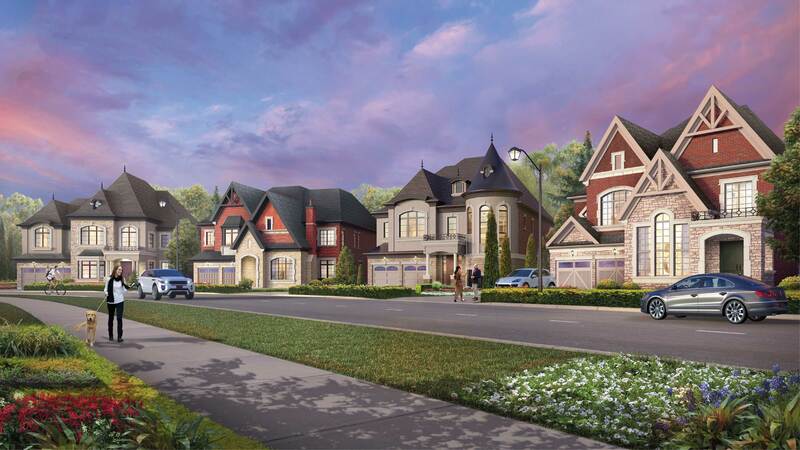 As one of the master builders in the highly-successful Aurora Trails community located at Leslie St. and Wellington St. E., OPUS Homes has a reputation for actively participating in community building in Aurora. Through it’s Families Helping Families initiative, it is also supporting local charitable organizations such as the Aurora Food Pantry, Nanny Angel Network, Earth Rangers, and ETA Vaughan. You can call this quiet community home by registering now!